A beautiful and stately fern with upright tall fronds growing in the shape of a shuttlecock. 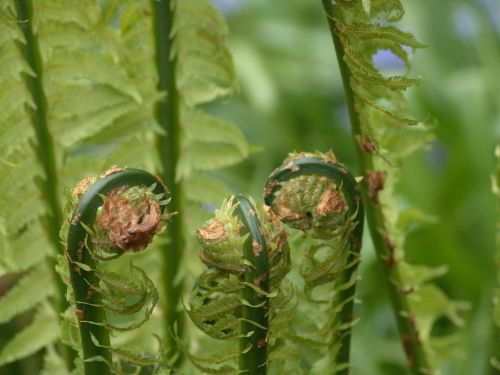 The young fronds are especially attractive as they unfurl. This old variety sports very large, upright fertile fronds (to 210cm or 7 foot in old money), these are a rusty brown colour and give the alternative common name of flowering fern. This variety also has a particularly large crown. Prefers wet to moist acid/neutral soil. Will tolerate full sun in wet soil.